Sekhmet has welcomed visitors to this page. Birthed on: November 1, 1998. Last updated: Sep 12, 1999. We come from many different backgrounds and traditions but we all share powerful experiences with this ancient Egyptian lion-headed Goddess. We are all of the Body of Sekhmet, awakening to Her Call. Unity within diversity. We are here to learn, to grow, to share, and to support each other. As promised, (I bend over backwards to keep my promises) today is the day when the Moderating Council members are announced. It is my pleasure to announce that the council will consist of 3 active moderators and 3 honorary advisors. These is the new moderating council. To all former council members, thank you for the contributions you have made. We wish you well in your future endeavours. 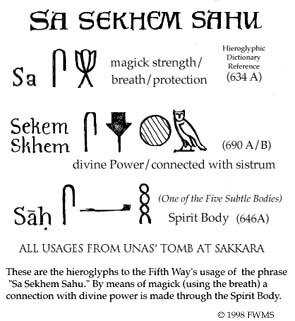 Sekhmet's Own has recently been blessed with messages from Mother Sekhmet sent via some of her Oracles. The most current message is listed below... click here to see a historical record. Divine daughters, you, all of you. I was waiting, I knew you would follow your true path to me. Freyja.. no.. You know me already, in your heart. I will walk with you if you know I will lead the way always. you are a strong one. and I envision you taking the power I am willing to share. I give this freely to those who follow, no tricks or spoofs. I do not demand compliance. Come with me, let us walktogether, I will not forget your Isis. Choose your name wisely, it will bring you what you ask for in the name. Together in love, never hatred. A message from Lady Sekhmet, co-moderator of the list: For those of you who have already explored the depths of Bast or who wish to understand Bast better, I invite your participation in a creative project. I did not know the third step until today. It is the wish of Bast that I invite all of Sekhmet's Own, artists and non-artists alike, to join Zohara in a creative exploration of the Goddess Bast. Whatever you create--all Images of Bast, poetry, prayers, and other writings--will be your gift to Bast (and, by extension, to Her sister, Sekhmet). It is also a healing for Zo and a healing for yourself. Aostara will prepare your "gifts" for publication on a web-page dedicated to Bast, Sekhmet's Sister Dear. I think we are beginning to form a group mind enough to be able to use this forum for synergistically creating something constructive together,which honors the artist in us, the healer in us, our compassion for others, but most of all--expresses our love for this beautiful aspect of The Living Goddess. Although I'm a moderator, I bestow upon Zo -- because she is the catalyst/recipient/initiator of this project -- the right of choice. She does not have to publish anything on the web-site that she feels uncomfortable with. I would ask that everything for the SisterDear web-site be shared first with the entire Sekhmet's Own group so that everyone can be inspired. I think a focus of this type has promise to help us define who we are in relationship to each other. On November 1, 1998 Sekhmet's Own Web-site was birthed during a moment when the Sun was at it's highest elevation and the Aries Moon was in the third house of communication--bright new beginnings. Our birth day stands between October 31st, Koiak 15, the FEAST OF SEKHMET-BAST-RA (all solar deities) and November 2nd, Koiak 17, the FESTIVAL OF HET-HERT (Hathor--who is just a more feminine, Divine Mother aspect of Sekhmet). Sekhmet's Own acknowledges Kate who worked up our astrology and Christina who provided insights on the Egyptian calender and the "hours" of the day. for the Glory of Sekhmet. This Sekhmet Ring site is owned by Sekhmet's Own. Want to join the Sekhmet's Pride WebRing ? This page is maintained by Aostara K and Lady Sekhmet.